This is the story of a young man who was raised as a Jehovah's Witness, seemingly destined to spend the rest of his life following the instruction of God's "Spirit Directed Organization". He soon came to discover, however, that things were not as they had first seemed. Following a patch of doubt and subsequent in-depth investigation into the religion, the young man began to realize that the things he had previously accepted without question no longer made sense. The techniques of undue influence have evolved dramatically and continue to do so. Today, a vast array of methods exist to deceive, manipulate, and indoctrinate people into closed systems of obedience and dependency. This audiobook can help you protect or regain your sanity, freedom, and health. It can also help you protect others from the use of mind-control techniques. The Kingdom of the Cults has been the authoritative reference work on major cult systems for more than 40 years. In an era of rapid cult growth worldwide, Christians today need the information in this book more than ever. It will equip readers from every walk of life to use biblical truth to counter the efforts of cults to masquerade as mainstream Christianity. 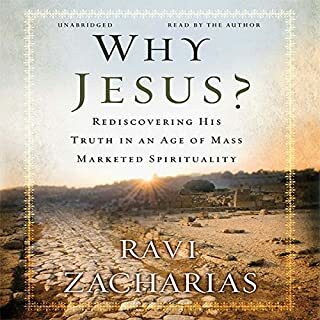 Working closely together, Ravi Zacharias and managing editors Jill and Kevin Rische have updated and augmented the work with new material. This book will continue as a crucial tool in countercult ministry and in evangelism for years to come. Among cults and religions included are Jehovah’s Witnesses, Mormonism, New Age cults, the Unification Church, Baha’i Faith, Hinduism, Buddhism, and Islam. Readable and reliable, this book sets the standard for reference books on cults. Walter Martin (1928-1989) held four degrees, having received his doctorate from California Coast University in the field of comparative religions. Author of a dozen books and numerous booklets and articles, he founded the Christian Research Institute in 1960. 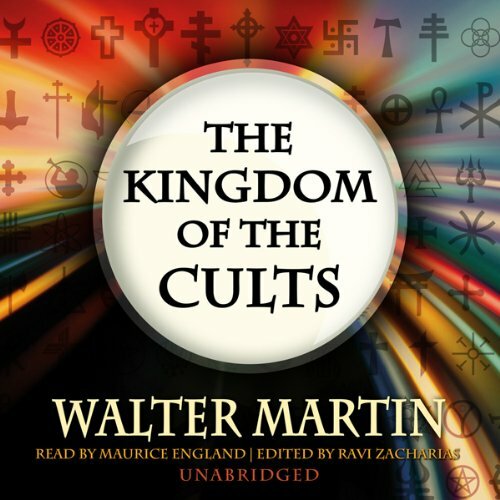 ©2003 The Estate of Walter Martin (P)2013 Blackstone Audio, Inc.
Where does The Kingdom of the Cults rank among all the audiobooks you’ve listened to so far? Excellent explanations and effective an effective apologetic defense of the gospel. Walter Martin nails it. A great read. If you want to see what the difference between "true" Christianity and a cult, this is the book to read. Very clear and concise. A smooth, well thought out overview of the cults, perfectly voiced by Mr. England. The problem is there is so much info you're never going to get it all in in one, two or even three readings. And seeing that this book is almost 39 hours long I'm praying to Jesus to make stick what he wants me to retain because I don't care how interesting this book is I don't want to spend that much time in a reread. I recommend. The book delivers what it promises. God Bless. well done but took me 2 years to finish. it is definitely a book I will buy for my library. definitely has shown me that the enemy has no creativity that he just twist the truth to be lies and repackages them for different man made religions. Jesus is the only way. Can we get a standing ovation for Maurice England? For eloquently narrating a 40+ hour book on doctrines. Enjoyed the narration. Now, about the book. Highly recommended for any Christian. Every major religion is covered. All Eastern spiritualism is covered. Almost every modern minor and major cult uprising that effected millions of souls at one time is covered. Even Christian groups who have strange doctrines that don't effect your salvation by faith alone in Jesus Christ are covered (like the Seventh Day Adventists). There is a Quick Facts section before each chapter to help remember the key points. 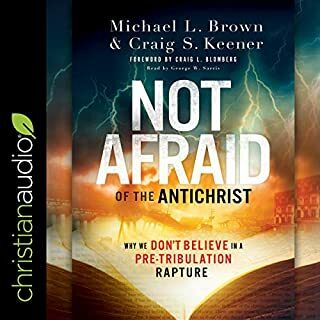 There is a dual benefit for the Christian listening through this book. When you get to the debunking portions of false religions and cults, there is great depth of evidence from scripture used, which in turn will strengthen the faith of a Christian hearing scriptural authority of Christian doctrines. For example: when listening through reasons to reject Jehovas Witness and Islam who deny the trinity, Walter Martin goes into great depth of scriptural evidence for the trinity. 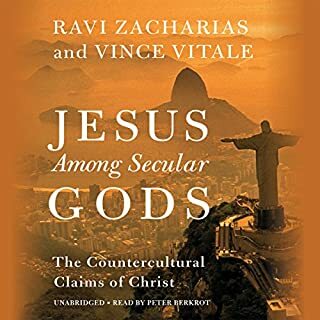 When listening to the many cults and false religions who deny the divinity of Jesus Christ, the author goes into great depth of verses to counter their claims. So, while learning about cults your faith in Jesus Christ and knowledge of the doctrines of Christianity will be strengthened at the same time. Enjoy! Would you consider the audio edition of The Kingdom of the Cults to be better than the print version? 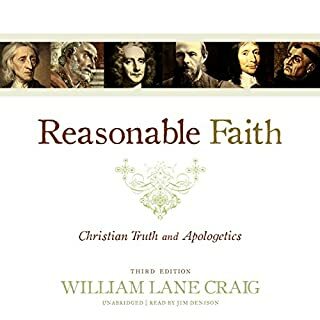 I actually own this book in the printed form, as it was a required text book for the course Christian Apologetics at the University I attended. I wish it had been available in Audio form back then, as I am not a good reader but a great listener. I love the section on Mormonism, because My mom and some of my sisters and nieces and nephews are Mormons. I have had a hard time sharing the truth about Mormonism with them because they refuse to listen. This book is helping me to "speak the Truth in love"
Which character – as performed by Maurice England – was your favorite? Inspired me to see the background and history of these cults for what they are. Deviations from the truth. Many of these "doctrine of demons" have existed since the first century AD. many others predate the writing of the New Testaament, and Jesus, Himself alluded to them in the Gospels. "All that have come before me are liars"
The chapter about "how to witness to a cult Member" was amazing. Great analysis from every angle, you get in dept understanding of each cults difference's measured against historical Christianity and Bible. much needed reference in the Church today. i loved it. walter Martin gave the church a gem with this work. God bless this book as it touches many for the faith of Christ. EXCELLENT! This is a MUST HAVE library resource! Would you listen to The Kingdom of the Cults again? Why? 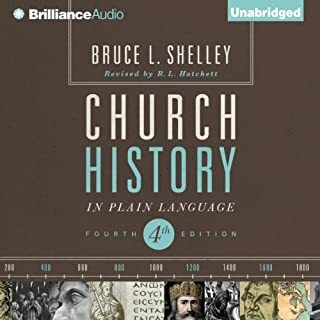 YES I would listen to this audio book again and I bought the book on Amazon as a resource to be able to go to the different sections immediately. This is also an excellent way to study your bible, Dr. Walter Martin gives scripture to combat and lay to rest the claims of the various cult founder, successors and supporters. I thought every chapter was an excellent outline, detail and then synopsis of each religious cults start, their founder and their blunders in proliferating their material. I LOVE that he included many scriptures to combat the false information and false prophets. Martin was also very focused in telling the reader that our great commission is to tell the good news of our savior Jesus Christ in the gospel and to love and enlighten people that have fallen into these false prophesies and false prophets hands. 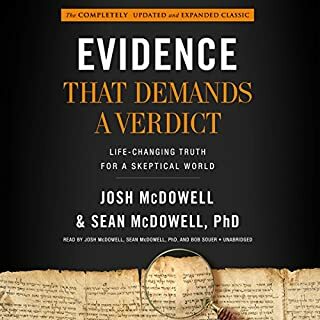 I didn't really have a favorite, I went into it with an open mind and was pleasantly surprised at the detail and the overall message to Christians to speak the gospel truth and the numerous scriptures that backed up his unbelievably detailed research on each sect. It was riveting from start to finish, I listened to it every chance I got. I think every Christian should have this in his library, it is invaluable, it is extremely relevant, this is EXCELLENT!!!! Recommend for born-again Christian's. Learn why all the cults are wrong and what their beliefs are. Written well and narrated with excellence. If anyone gives this book a bad review they must be in a cult. This book exposes them for who they are. This book has opened my eyes to all the error that exist in the world today regarding our Savior Jesus Christ. It deserves another read and another study until these truths are well understood and we are well equipped to defend the faith. Yes, Maurice England does a fantastic job of reading this book! What does Maurice England bring to the story that you wouldn’t experience if you had only read the book? A great voice for a classic book. Not posible nearly 40 hours in length!!! A must for any Christian who may consider the study of comparative religion! Kingdom of the Cults is a great reference book, each subject is very well researched and explained. However it works best as a reference book. It was pretty tough work getting thorugh 36 hours of audio! Made easier by great narration; one of the best narration voices I've heard.